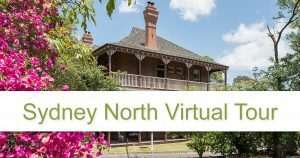 UPA Sydney North Region is ideally situated in the heart of Wahroonga, one of Sydney’s finest residential areas. This well established suburb offers stunning streetscapes with beautiful tree-lined boulevards, distinguished homes and historical churches at every turn. Situated 23km from Sydney city, 200m from Wahroonga village with its specialty stores, cafes, grocery store and medical specialists. There is easy access to the Pacific Highway and places north as well as to Wahroonga train station. Our bus regularly goes to Hornsby, St Ives and Turramurra Shopping Centres, as well as on recreational trips further a-field. We invite you to take a tour through UPA Sydney North Region’s facilities. To navigate through the tour below, please use your mouse, arrow keys or both to control movement. Sydney North Region is part of the United Protestant Association of New South Wales and can be contacted on the following email: sydney.north@upa.org.au. For full contact details, please refer to the ‘Contact Us’ page on the website. Further information is also available by clicking one of the below links.